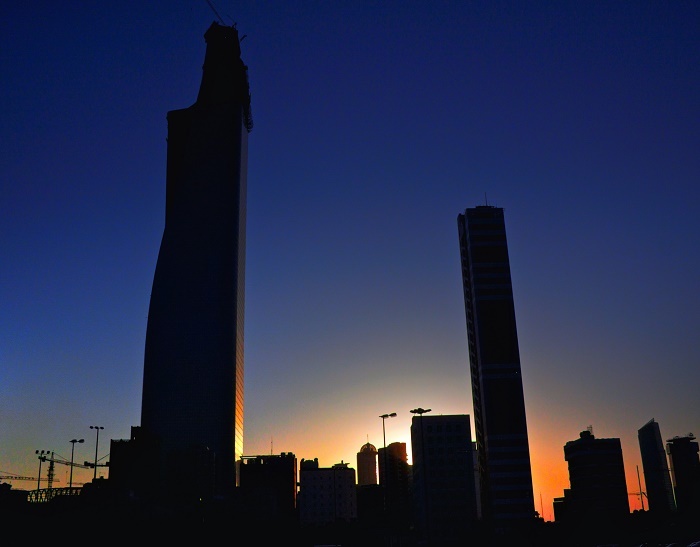 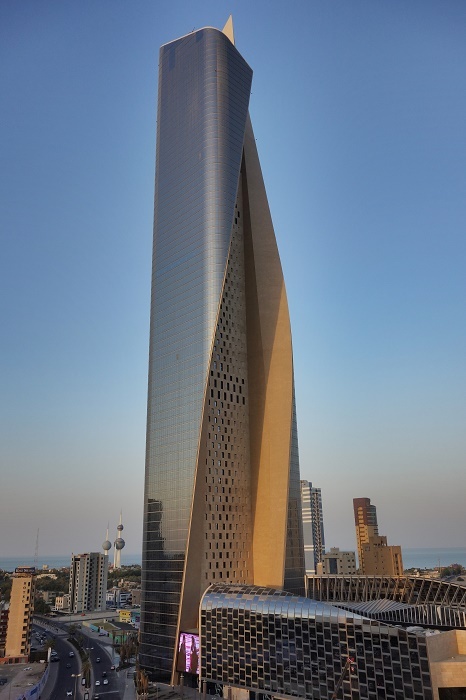 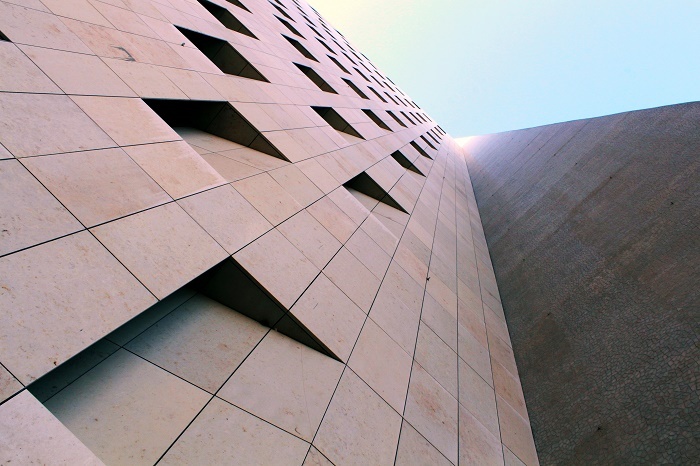 The Al Hamra Tower is a unique skyscraper and one of the tallest buildings in the capital city of the State of Kuwait, Kuwait City. 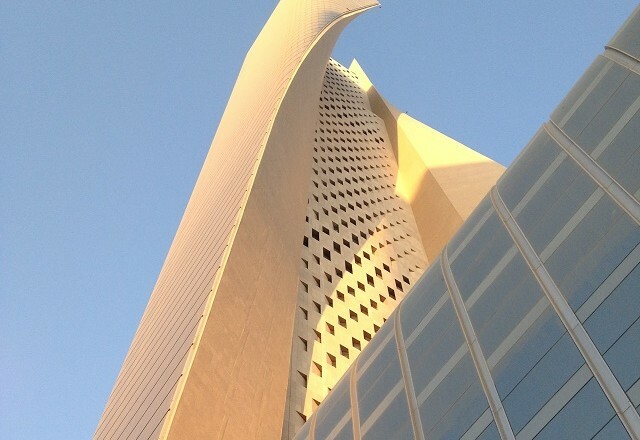 With a total height of 414 meters (1,358 feet) above the ground, the building has a very unique shape which was designed by the architectural firms Skidmore, Owings and Merrill and Callison in 2005, and the tower was completed by 2011. 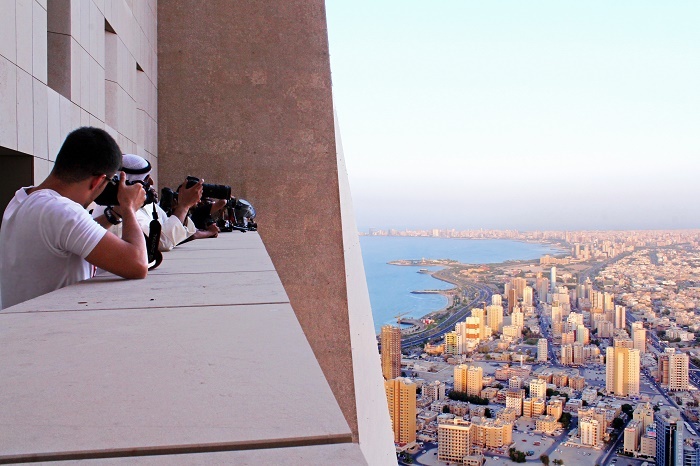 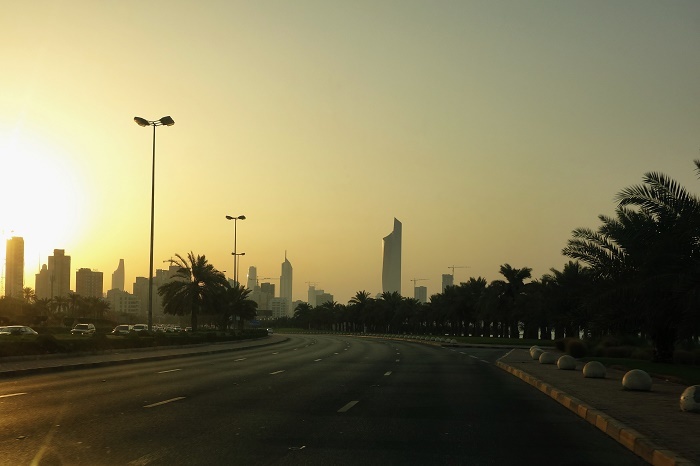 Due to the fact that it is made of concrete, it holds the record for the tallest carved concrete skyscraper in the world, and with its 80 floors, it gives especially amazing landscape views of the city and the Kuwait Bay. 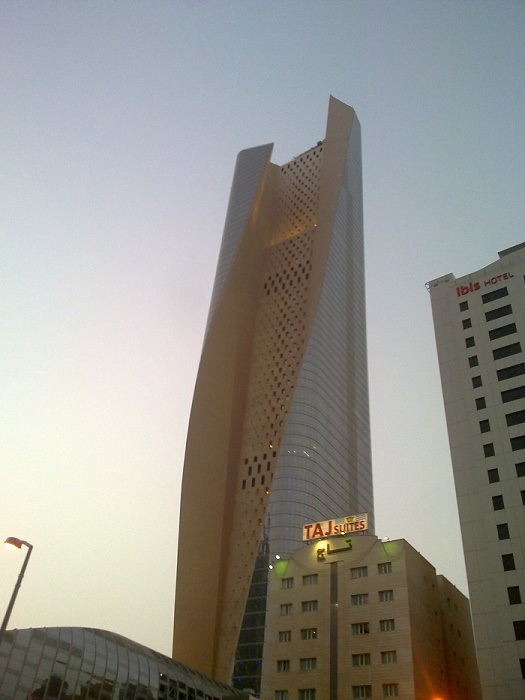 This new landmark of the city is something like an enshrouded figure with its delicate glass veil, where the apex of the Tower with carved flared walls depicts a continuation of the sculptural form infinitely upwards, revealing a rich, monolithic stone at the south wall framed by graceful, twisting ribbons of torque walls, which define the iconic form of the Al Hamra Tower. 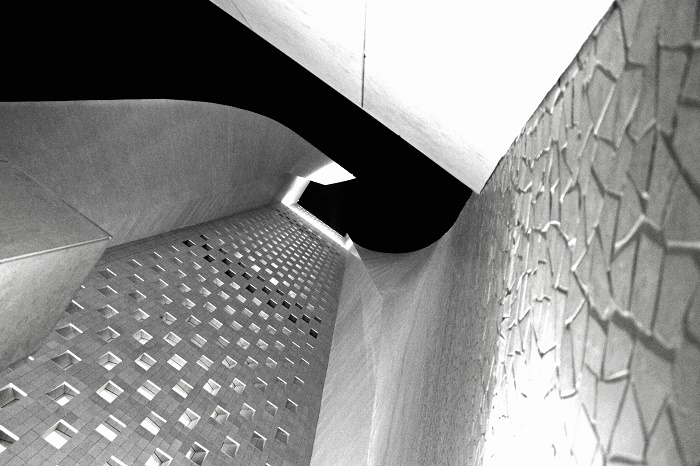 The main inspiration for the design of the asymmetrical form, which in some way reminds a bit of the traditional robes worn by Kuwaitis, was the desire to maximize the views of the Persian Gulf, but most of all the Kuwait Bay, and minimizing the solar heat gain, which resulted in the solid south wall designed in a way to decrease the solar radiation. 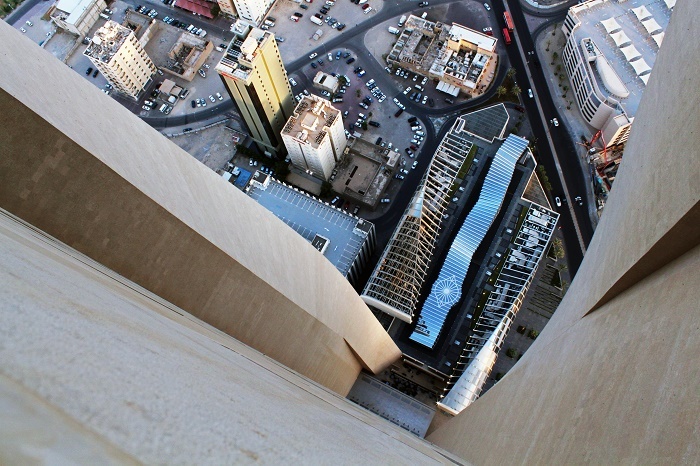 This way the purity of the form the skyscraper has, is expressed by a simple operation of removal that makes the tower a timeless, elegant marker in the heart of the capital. 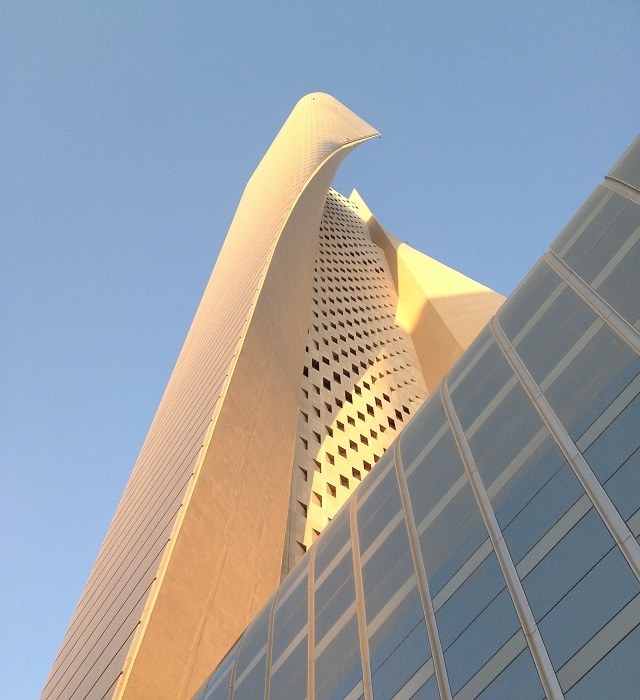 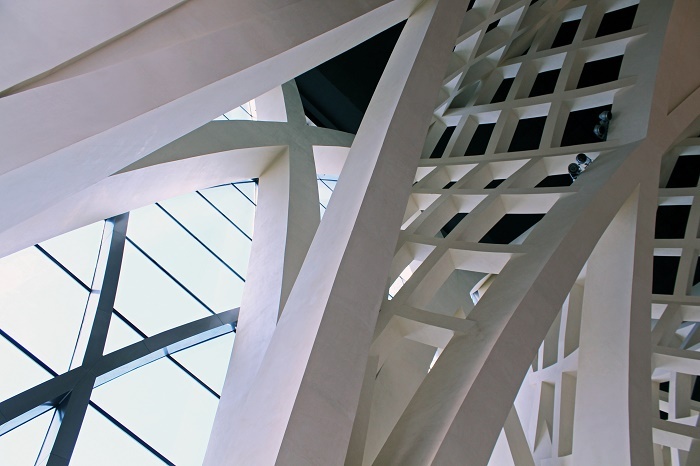 Filled with offices and shopping mall, there is a 20 meters (66 feet) high lobby to welcome every visitor of this 500 million dollar building, which is like a modern beacon of the new age towards which Kuwait is racing rapidly.